The OCU app's integration with Google Analytics allows you to collect statistics about OCU pages and events within your Google Analytics account. Our Enhanced Ecommerce integration allows you to get even more detailed statistics like Events, Shopping Behavior and Checkout Behavior tracking. If it's not enabled yet, then you need to get the code from your Google Analytics account, paste it there and then save changes. Please allow some time to obtain some initial data before it will start to display statistics for OCU pages within your GA account. Pageviews statistics can be found in the Behavior -> Site Content -> All Pages section of your GA account. Use the search term "/apps/secure-checkout" to see all of the Pageviews for the OCU app. To make this even easier, if you click the Page Title option from the Primary Dimension section and then use the search term "OCU" to filter out the needed pages, it gives you a very clear consolidated display of the number of Pageviews and other useful information for all of the pages within the OCU app. If you want to also have Orders Statistics within your Google Analytics account then you need to add your GA Tracking ID to the OCU app. 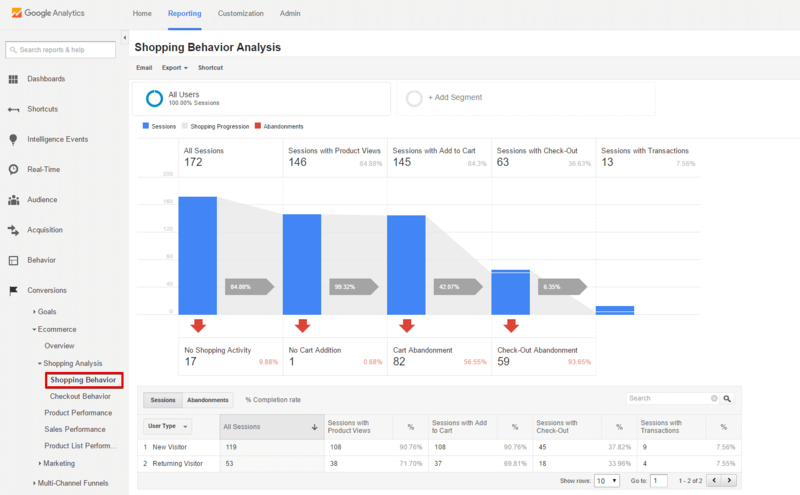 Order statistics contain Revenue, Tax, and Shipping cost for each order and can be viewed within the Conversions -> Ecommerce -> Sales Performance section of your GA account. 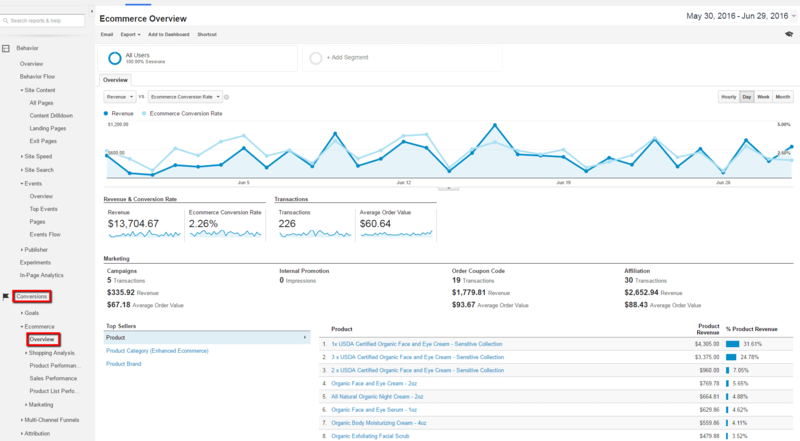 Clicking the "Overview" section under Ecommerce, what you will see by default is a line graph for Revenue vs Conversion rate. You can see all the revenue accrued, conversion rate, order value, transactions, every product that was sold and the ability to sort and filter different types of information and date ranges. 1. 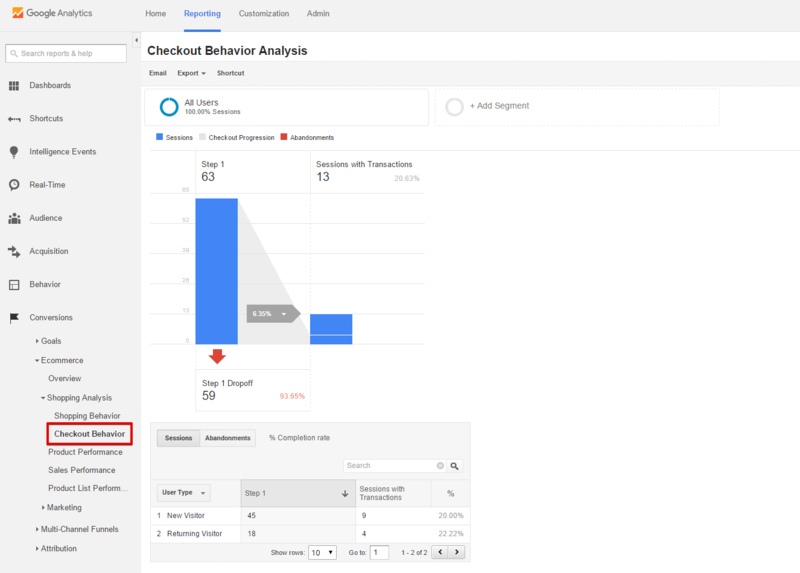 Enable Ecommerce and Enhanced Ecommerce Settings in your Google Analytics account: Go to Admin -> Ecommerce Settings to enable those settings. 2. Ensure that you have Enhanced Ecommerce enabled in your Shopify store. 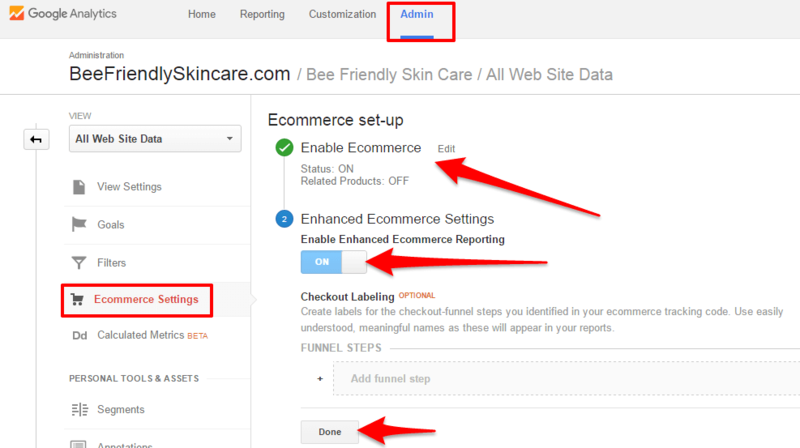 Go to Online Store -> Preferences -> Google Analytics and make sure that "Use Enhanced Ecommerce" check-box is checked. In order to review the Events statistics you need to go to Behavior -> Events -> Top Events and then click on the "OCU Enhanced Ecommerce" folder. Use goals to measure how often site visitors complete specific actions (goals). (Optional) You can add the “Cart” page as a step, which has the URL /cart. If you do this, set the “Required” option to “No” because people may skip the cart page (depending on your theme) causing these people to go unreported in the goal. 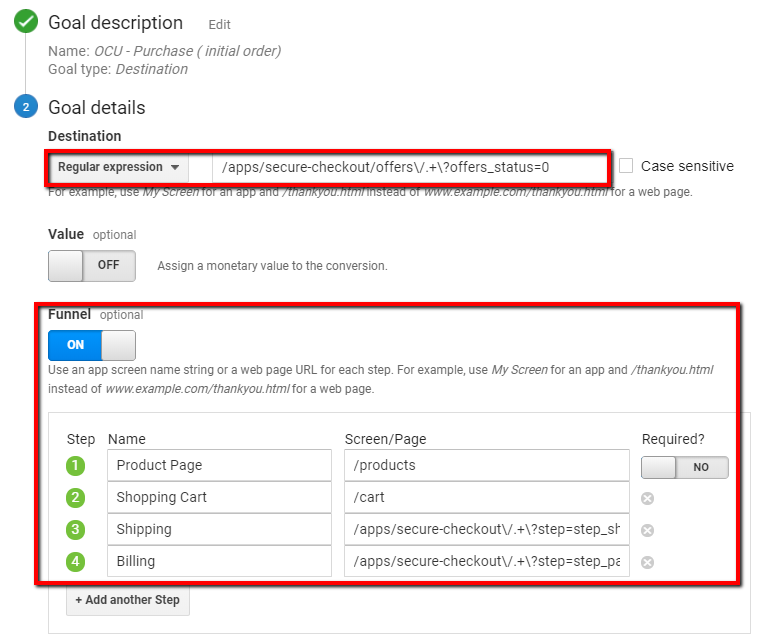 If you use a Proxy URL which is different from the standard one ("secure-checkout") then you need to set your own URL instead of "secure-checkout" to change it to your URL in the regular expressions. 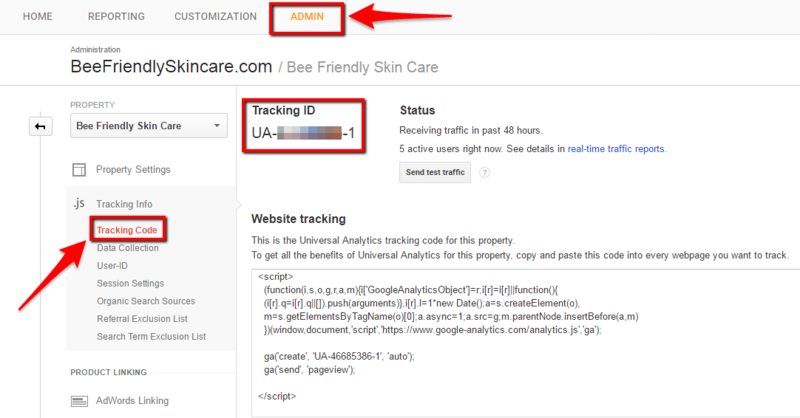 GA Goals are tracked on the front-end side when a customer reaches some specified URL destination. Conversions are tracked on the back-end side so that is more reliable information regarding purchases than goals. If you notice a discrepancy between the Goal figure and the Conversion figure, note that the Goal can't be tracked when a customer uses some extension like Ghostery that doesn't allow to load Google, Facebook and other scripts.